I was recently asked to create something special for a customers Husband. She explained that he had a love of the work of Charles Darwin - and in particular a poster showing a selection of insects collected by Darwin. I worked with her to create a piece of jewellery inspired by these Insects - and this ended in me creating this little beetle Tiepin. 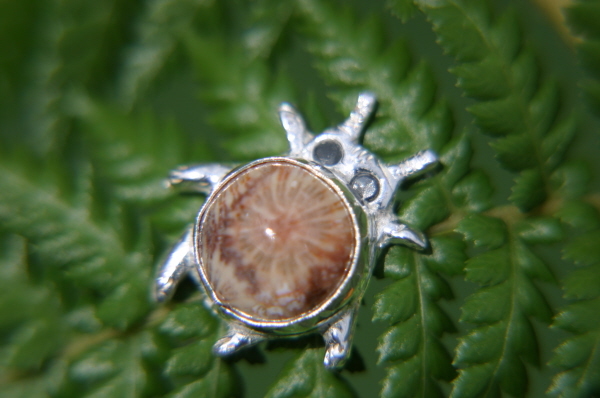 I used a small fossil coral cabochon set into a solid silver beetle setting, complete with shimmering crystal eyes..
She was very pleased with the result, and so was the recipient!